Warwick Castle’s spectacular summer show is an immersive production that takes the audience on a historical journey into the entangled love story of two star-crossed lovers. This brand new night-time show pushes boundaries as a theatrical production that blends a captivating family story with mindblowing special effects. The 10th-century tale tells the story of a homegrown warrior and hero Guy of Warwick. 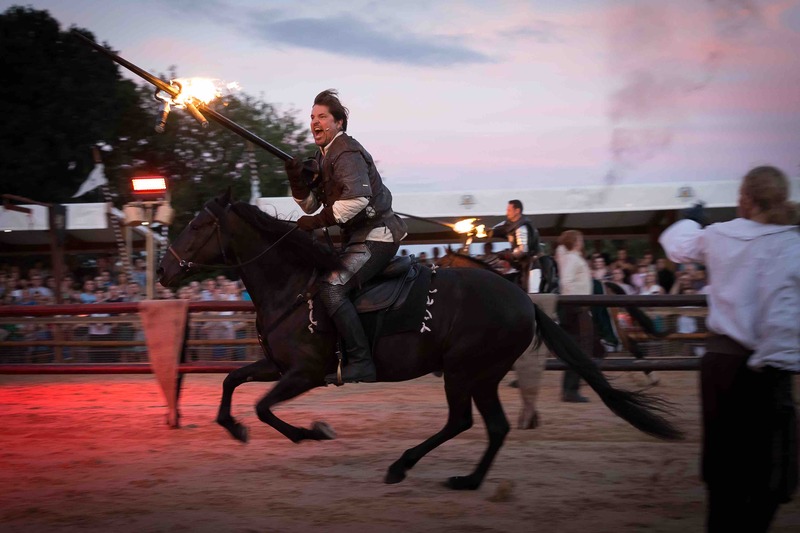 With thrilling swordfights, electrifying projections and dramatic horseback, it really is a production that captures the spirit of Warwick Castle and its rich history. Delving into the story of Guy of Warwick and his desperate love for Lady Felice, we watch their relationship unravel as he proves himself to be a truly courageous champion. In order to wed Lady Felice, he must first prove his bravery and become and knight. Standing in and around the jousting ground, the action unfolds in front of us as the knights and their horses battle against each other. Ideal for kids, it’s an action-packed start to the production and the outdoor setting adds a real authenticity. As the audience, we are completely immersed in the production as if we were spectators back in the 10th-century. Once Guy has proven himself, he discovers there is a dragon attacking the castle and he storms over to fight the dragon in order to save Lady Felice. As the audience follows in anticipation, we walk over to the castle with the characters. 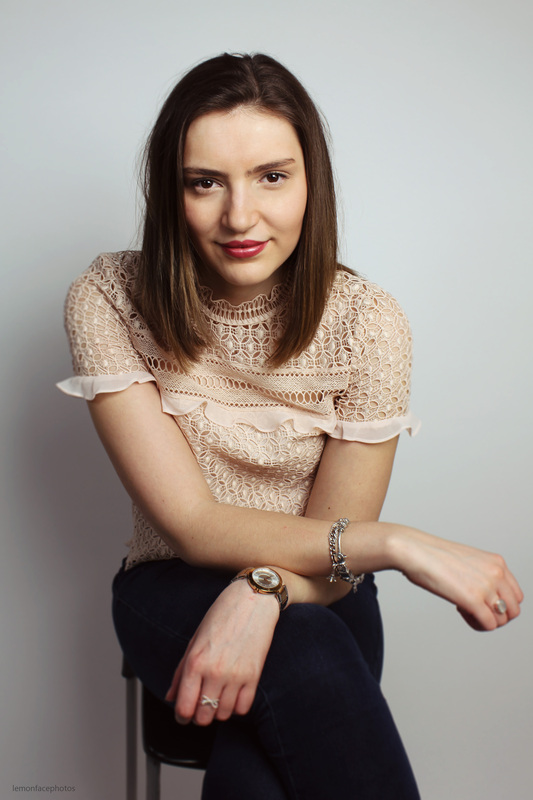 The actors are both convincing and committed to their roles as they engage with the audience along the way, making you really feel like part of the story. Although it’s an incredibly cheesy story, it’s perfectly animated for children of all ages. 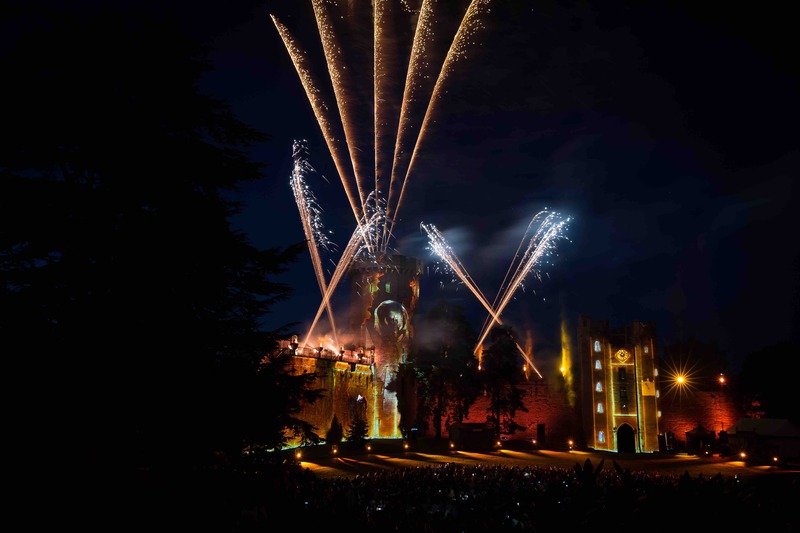 The second part of the production, set within the castle walls is a true spectacle. Using projection and light, the dragon’s attack is portrayed on the castle as the walls crumble. The visuals are remarkable and it’s a breathtaking moment watching the castle truly transform through light to tell the story. As the dragon scales the castle, the valiant hero Guy saves the day and slays the dragon to restore the castle walls. It’s a mind-blowing use of light, making it an outdoor production like nothing I’ve seen before. Rivalling Disneyworld with its impressive visuals, it’s an outdoor production not to be missed. Dragon Slayer is an explosive production and the perfect family night out that uses storytelling and innovative design to create an wonderfully entrancing show. 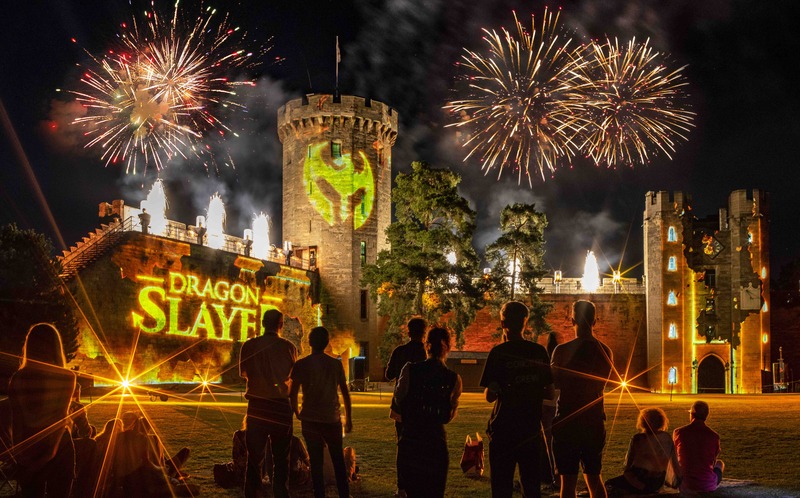 Dragon Slayer is on at Warwick Castle this August, tickets and information can be found on their website.